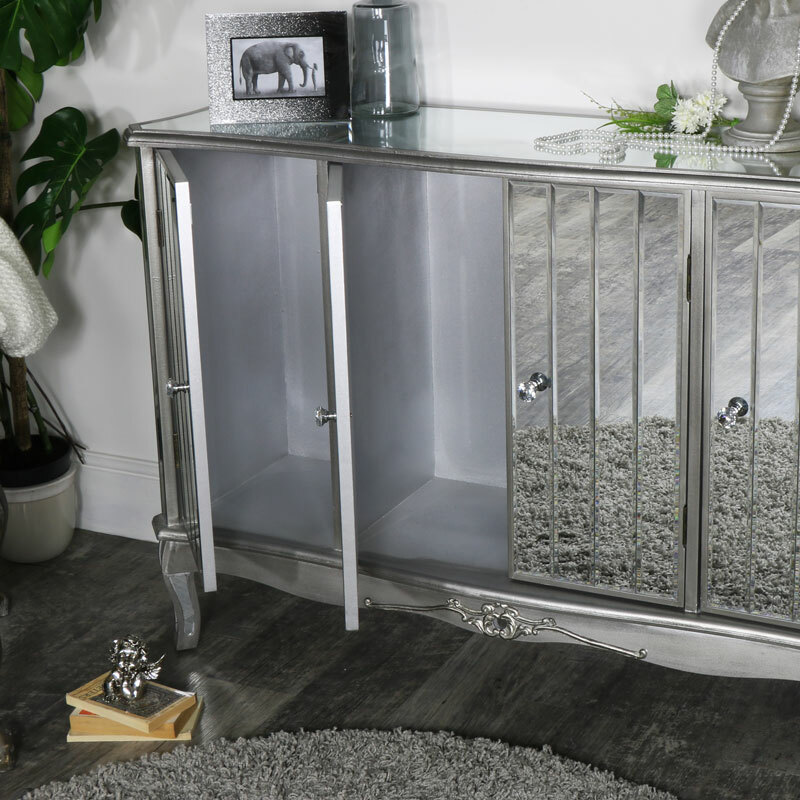 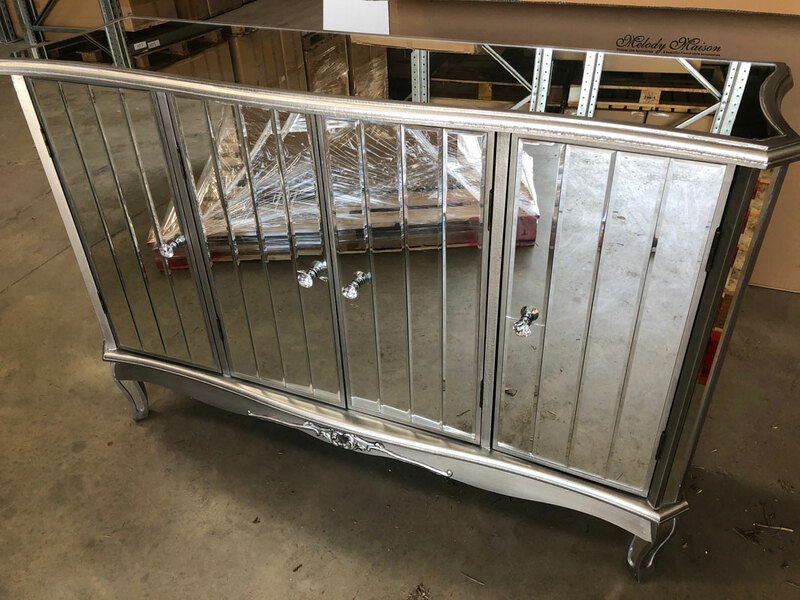 This Tiffany range Large Mirrored Sideboard is beautiful vintage style storage for any living roo , bedroom, dining room or hallway. 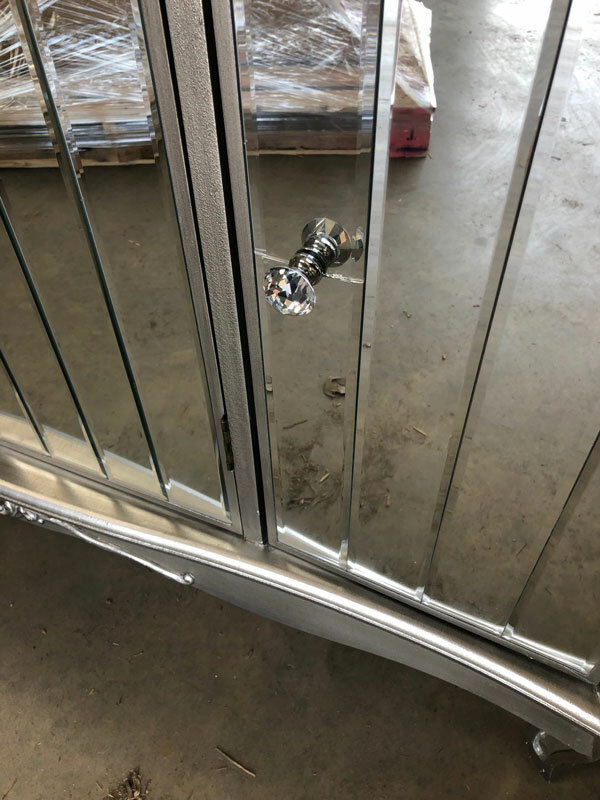 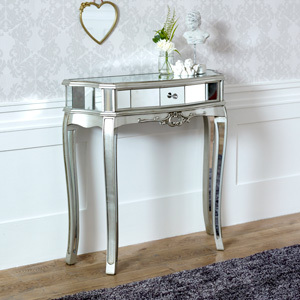 We love it's art deco inspired mirrored panelling and luxurious crystal handles. 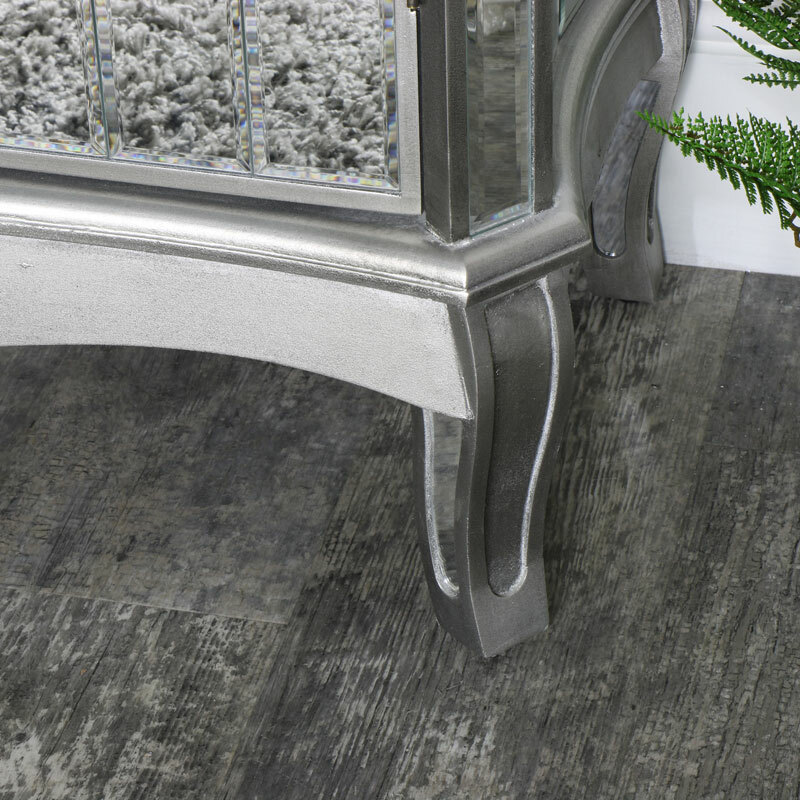 Perfect for lovers of silver decor. 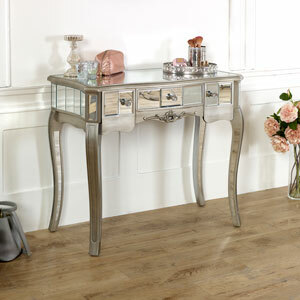 French style Venetian mirrored large sideboard, with lots of storage space with three cupboards. 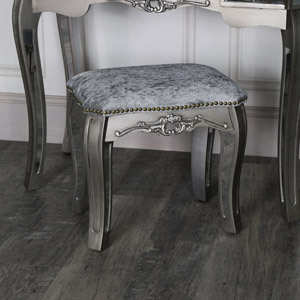 Perfect piece for a Vintage look room. 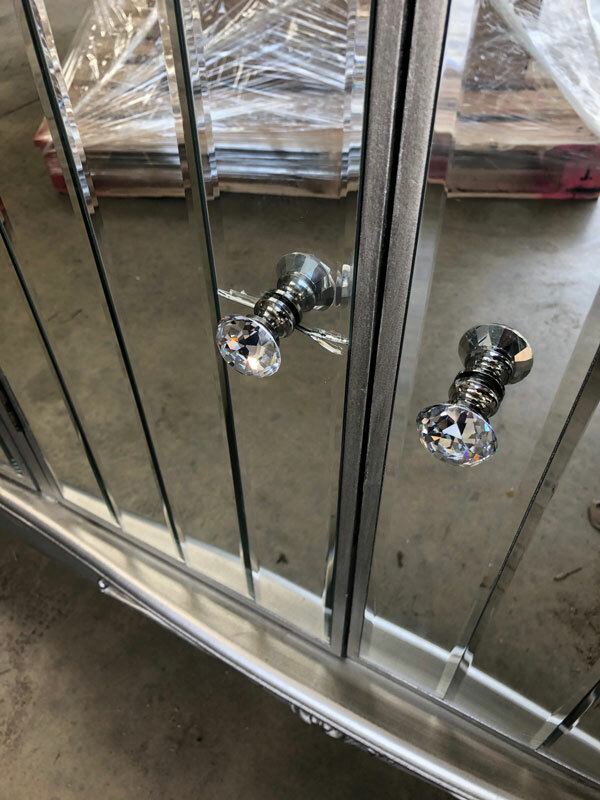 Sliver painted frame and mirrored glass. 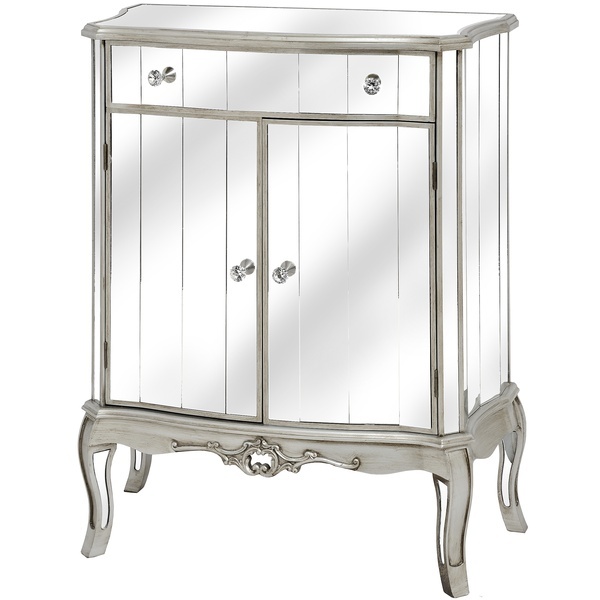 Finished with ornate carving and crystal style handles. 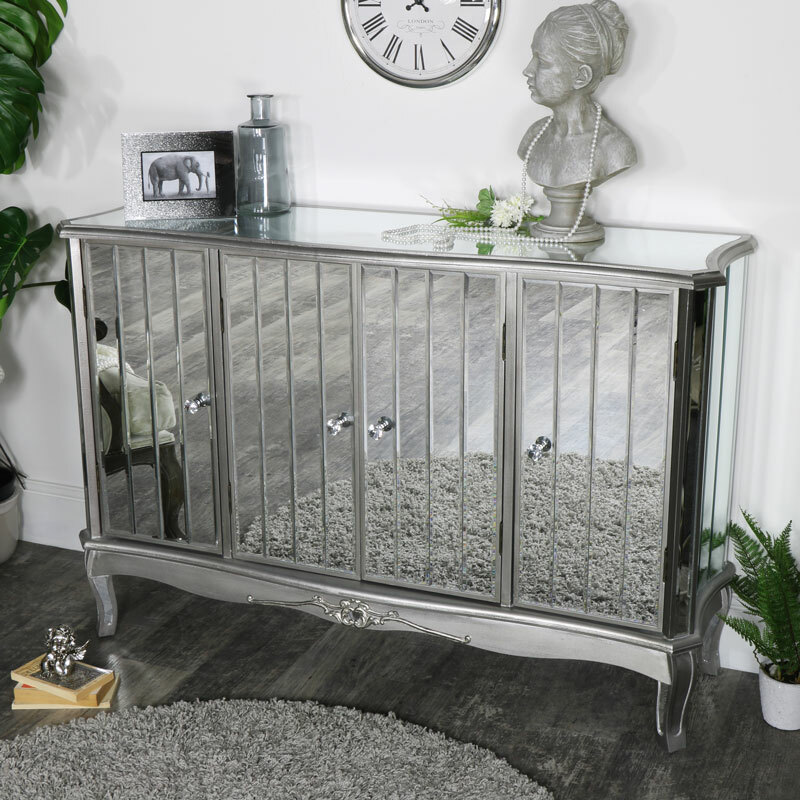 This Tiffany range Large Mirrored Sideboard is beautiful vintage style storage for any living roo , bedroom, dining room or hallway. 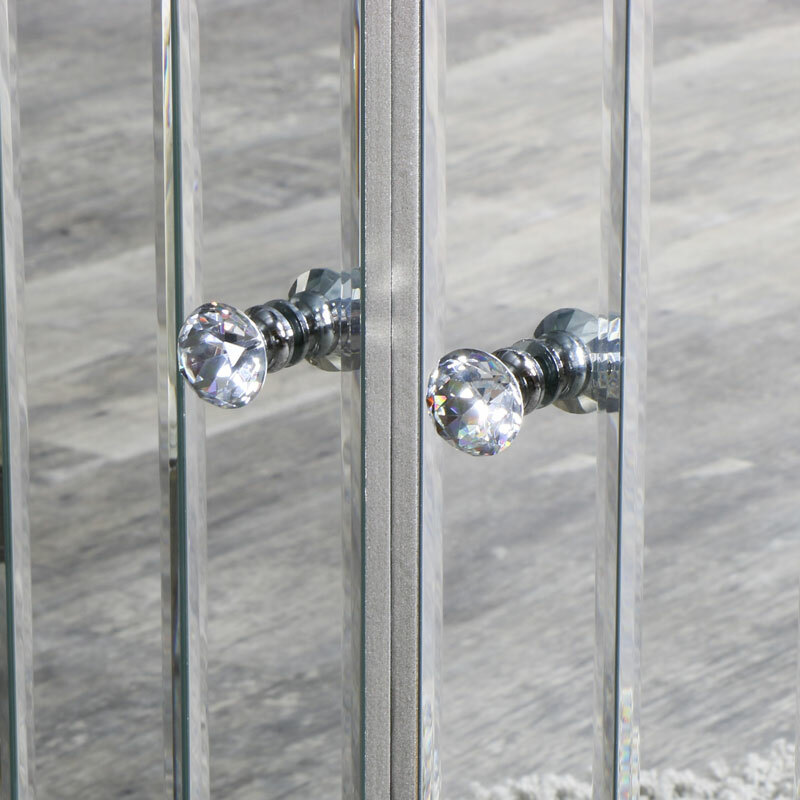 We love it's art deco inspired mirrored panelling and luxurious crystal handles. 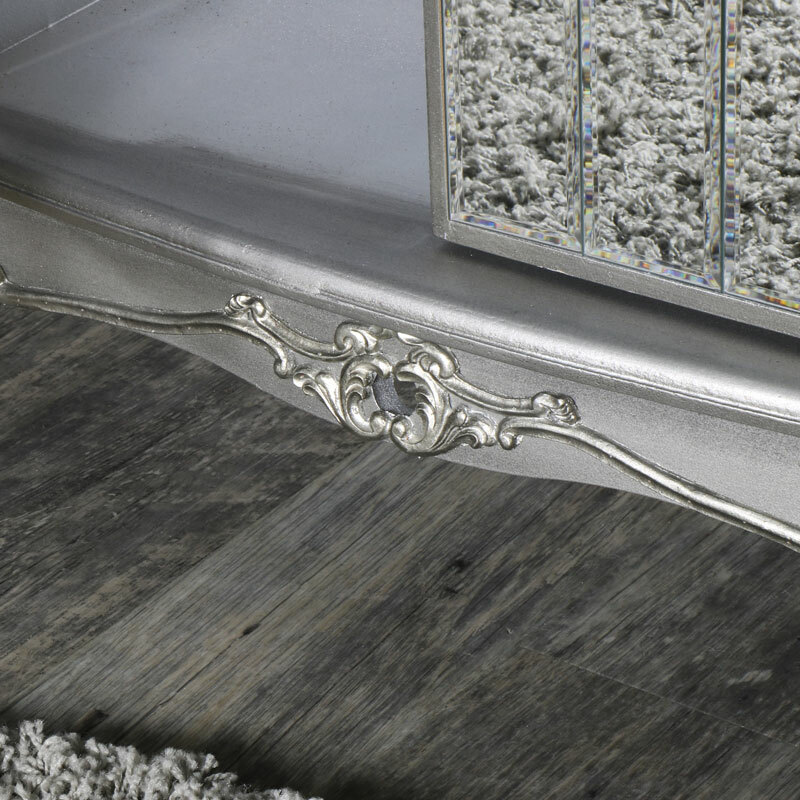 Perfect for lovers of silver decor.